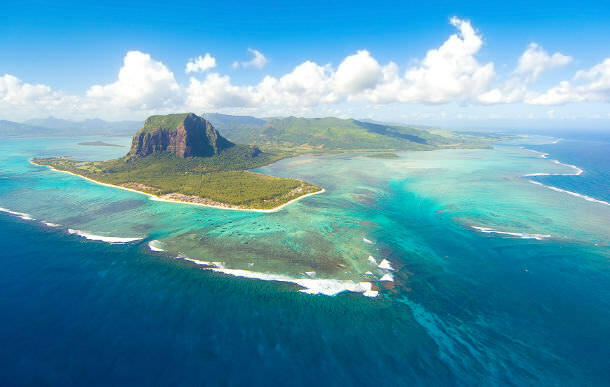 Mauritius is a paradise island nation in the Indian Ocean about 1,200 miles off the southeast coast of Africa, and is surrounded by the world's third largest coral reef. Fewer destinations are more romantic or beautiful which is why it has been voted one of the best destinations for weddings and honeymoons, and one of the world's top luxury tourism destinations. It’s romantic, passionate, mystical, magical and memorable. It’s an oasis of relaxation and personal intimacy; a wedding in Mauritius is a truly idyllic experience. Languages Spoken: Officially English although French, Mauritian Creole, Hindi and Bhojpuri are also spoken. Major Religions: Hinduism is the largest, followed by Christianity, Islam and Buddhism. Other public holidays are religious festivals with dates that vary from year to year, including Chinese Spring Festival, Thaipoosam Cavadee, Maha Shivaratree, Ugadi, Assumption of the Blessed Virgin Mary, Eid ul-Fitr (depending on the visibility of the moon), Ganesh Chaturthi, and Diwali. The attractions of this gem are as varied as its diverse cultures, with chattering birds, cascading waterfalls, and dazzling sand and crystal clear turquoise oceans that make way to extinct volcanoes, lakes, waterfalls, forests and botanical gardens, a variety of water activities, big game fishing, safari adventures, day spas, amazing golf courses or hiking trips. Whether you wish to explore or just relax on the beach, Mauritius has so much to offer. This island is a veritable kaleidoscope of vibrant colors and a unique combination of both eastern and western cultures living together on a verdant tropical island that uplift the soul and romances your senses. Mauritius boasts dozens of sophisticated world class hotels and resorts, and all offer unrivalled hospitality and service. A few of the most popular being The Maritim, The One and Only Touessrok, The One and Only St. Geran, Paradise Cove, The Mauritius Hilton, Voile D'or Resort and Spa., Sofitel Imperial, and Le Meridien-eIle Maurice. The summer months (Nov-Apr) enjoy average temperatures of 79-90°, whilst winter (May-Oct) is slightly cooler. Rain tends to occur more in summer but the micro-climate, means that whilst it may rain in one area in could well be dry and sunny in another part of the island! The coolest months are July and August when average night minimum temperatures drops down to 61°. The east side of the island stays cooler due to the prevailing trade winds and also has more rain. December to February is the cyclone-prone period, and can disrupt the weather for about three days at a time with a lot of rain. The dress code is very relaxed in Mauritius; beach and casual for the daytime, (nudism is not welcome); long trousers and sometimes tailored shirts for the gentlemen in the evenings in hotel restaurants and for ladies, smart casual. A light cover-up may be needed for the cooler evenings in the winter months (June-September). When visiting religious shrines, visitors are requested to dress appropriately (no shorts or mini-skirts etc.) and to remove shoes when entering temples and mosques. The majority of Mauritians are incredibly polite, friendly, hospitable, and generous and have a generally relaxed attitude toward life. A handshake upon introduction is fine, but by the time you leave a social gathering you may receive double kisses from everyone. The French greetings “Bonjour” (Good day), and "Bonsoir" (Good night) are commonly used terms, as are "Bonne journee" (Have a good day!) to which you can reply the same or "Aussi a vous" (Same to you). “Namaste” is the traditional greeting, among the Hindu Indians especially in rural areas. English greetings are also acceptable. Tips are very much appreciated in Mauritius, as salaries are low, but do not feel obliged. Mauritians know that a tip has to be earned, and will do their utmost to make you happy. At your hotel, it is best to wait till the end of your stay and pass an extra something to any staff members who have been particularly attentive. The amount depends upon the type of hotel you are at and if you have been more demanding than most or not. Tip in Mauritian rupees. It can help to tip the maid who cleans your room a few rupees every few days to ensure better service. As with the hotel porter. Tip at the beginning of the stay and at the end when transferring luggage. Taxi fares are usually negotiated in advance for the trip or for a day's tour, and if the driver has been extra informative or helpful, an extra Rs100-200 is appreciated. In a restaurant, even if a service charge is added onto your bill, you could leave a few loose coins or small notes for good service. Give any tip to the person whom you want to receive it, as the cash tip will not necessarily be shared. The food culture in Mauritius is incredibly rich and diverse, infused with influences from its mélange of inhabitants (Creole, French, Chinese and Indian people). Street food is fantastic and Mauritius also has fabulous restaurants. Some of the specialties to try on your visit include savory dishes such as mazavaroo (a chilli paste often mixed with pasta or served on bread), palm heart salad, coconut chutney, mine frites (fried noodles), gajak (deep-fried snacks often sold by street sellers, such as samosas, eggplant fritters, cassava chips and potato fritters), dholl puris (warm flatbreads made from yellow split peas and served with a selection of vegetarian curries), farata (another Indian-style flatbread often eaten with curry), roti chaud (a Mauritian Wrap), Mauritian curry, dim sum (Chinese bite-sized snacks), fish vinday, and rougaille (a delicious curry often served at weddings). Sweets such as gateau patat douce, mithai and coconut cakes and drinks such as vanilla tea, alouda, Mauritian Phoenix beer, ti rum punch and "sundowner", a local cocktail, are a real treat. Mauritius also offers beautiful fresh fruits such as Victoria pineapples and delicious mangoes. The local currency in Mauritius is the Mauritian rupee - MUR or Rs. British pounds, US Dollars and Euros are not widely accepted. It is advisable to wait until arriving on the island to change your money to get a better exchange rate. MasterCard, Visa and American Express are widely accepted and ATMs are generally easy to find. Weddings in Mauritius are relatively inexpensive compared to many other destination locations, and some of the resorts include complete wedding packages and organizers. The average wedding in Mauritius costs around $10,000. Hotel and resort photographers are not rated as the best, so a freelance photographer may be an expense to consider, and alcohol and champagne can be very expensive too. The following notes are not comprehensive and are intended as a guide only. Before planning your wedding in Mauritius we strongly advise you to contact the Mauritian embassy in your home country or your country's embassy in Mauritius to obtain up-to-date legal requirements. Application for a certificate of non-citizen/non-resident should reach the Central Civil Status Office, 7th Floor, Emmanuel Anquetil Building, Port Louis at least one month before the intended date of marriage. 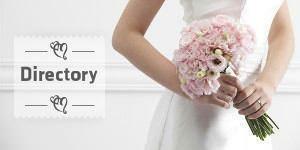 Your civil marriage may be celebrated after one day of publication. On your arrival in Mauritius you should call on the Registrar of Civil Status, Central Civil Status Office for verification of your original documents. (i) Two photocopies of each birth certificate drawn up in English/French. The date of issue of the birth certificate must not be more than 3 months from your date of birth. (ii) Two photocopies of each passport (the first three pages only). (iii) Relevant documents in respect of divorce, widow/widower or change of name. (iv) In addition to above documents, a French national should produce a "Certificat de capacité de mariage". (v) A certificate of non-citizen and non-resident is issued to the parties in Mauritius after verification of their documents whose date of issue shall not be more than 3 months. (vi) The marriage is celebrated in the office or in any private premises by the Civil Status Officer of the locality where the parties will reside after a publication of banns of 24 hours. (vii) However, where any party cannot produce any civil status document, he may instead produce an affidavit sworn in his country of residence or in such form as the Registrar of Civil Status may approve. (viii) As regards fees for a wedding held in the office, no payment is required. If it is celebrated in a hotel or any private premises, a payment of Rs 5000 should be made at the Central Civil Status Office. Find out more about the Districts of Mauritius or browse our Mauritian Wedding Directory to start planning your dream wedding.